There is nothing worse that the annoying sound of squeaky brakes. Sometimes, people decide to change the hardware, but those nasty noises simply won’t go away. Fortunately, we found this video for you, and if you follow it closely, in just a few simple steps, your problems will go away. These DIY videos can save you a ton of time and money, so we have to say that we really appreciate our Youtube mechanics. Cheers guys, keep up the good work. 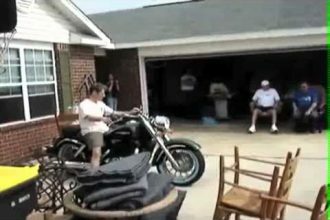 HOW to NOT load your MOTORCYCLE!